CheckPoints – Official Blog | Reward yourself with CheckPoints, the app that pays you back. 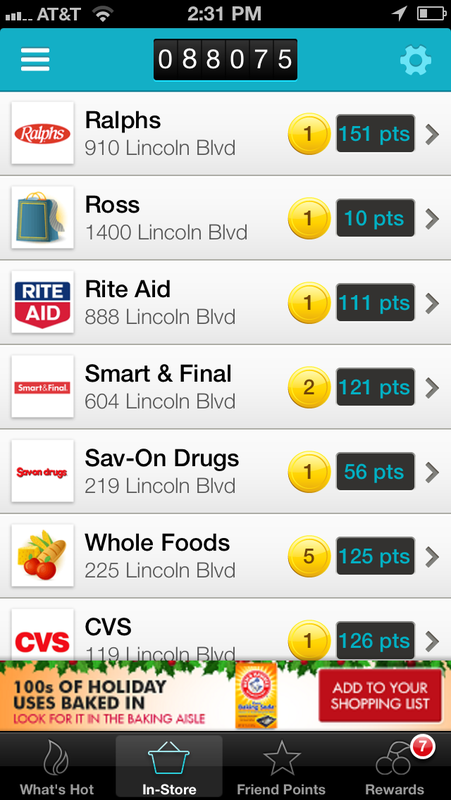 Reward yourself with CheckPoints, the app that pays you back. Earn thousands of CheckPoints this Holiday season with just a few clicks! How about 5 CheckPoints for every $1 you spend at Target.com? Or 7 CheckPoints for every buck spent at Macy’s? Earn points from hundreds of online stores, and do it from the comfort of home with the new CheckPoints Mall and Toolbar! Start by downloading the CheckPoints Toolbar on your computer or laptop with Firefox or Internet Explorer. If you use another browser — don’t worry — you can login to CheckPoints Mall at http://mall.checkpoints.com and earn as well! These days, many of us make purchases online, as well as in the store, and CheckPoints is here to offer you extra special perks for shopping with merchants you trust, including Walmart.com, Apple.com, Walgreens.com, JCPenny.com, and more! As a special bonus, Toolbar users can earn up to 15 points per day, just by searching the web as you normally do. Mr. CheckPoints is already sitting on his laptop buying holiday gifts for his sweetheart and racking up the points! Are you? Shopping rewards may take between 3 to 30 days to log to your account. The CheckPoints Toolbar and Search works on Internet Explorer and Firefox. More coming soon! If you use another browser (like Chrome), you can still login to the CheckPoints Mall. Just stop at the Mall before you start shopping, to make sure you earn your points. Also, make sure that cookies are enabled on your browser. In the Toolbar, be aware that not all searches will qualify for point credits. Just be sure to use the search function just as you would any other search engine to ensure points. Now get out there and try it! Or if you have more questions, please see our Frequently Asked Questions orTerms and Conditions. First, grab your iPhone or Android device and go to your local market (I go to CheckMart fairly often). It’s best to stand near the door to check in. Fire up CheckPoints and touch the “In-Store” tab. You will see a list of locations. Select your store from the list that is displayed. Once you have checked-in to your location, you will be shown shelves that showcase all the products that are available for scanning in your store. 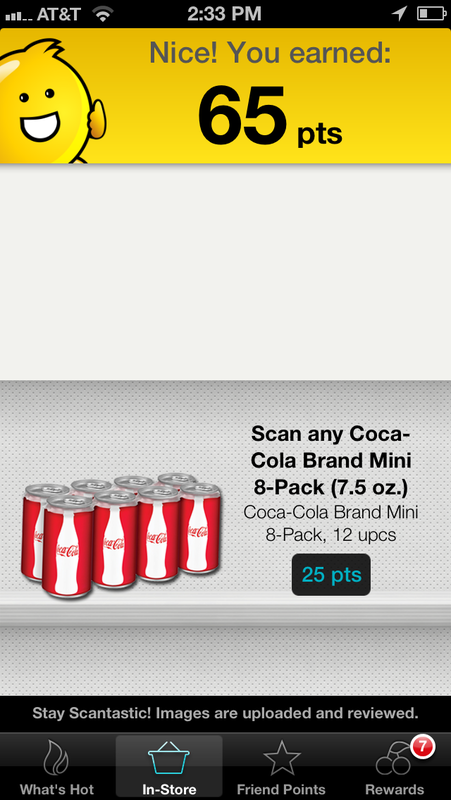 Select an item you would like to scan by clicking on its picture in the app. A scan screen will then open up that shows a barcode scanner in the top half the screen, and the product in the bottom half. 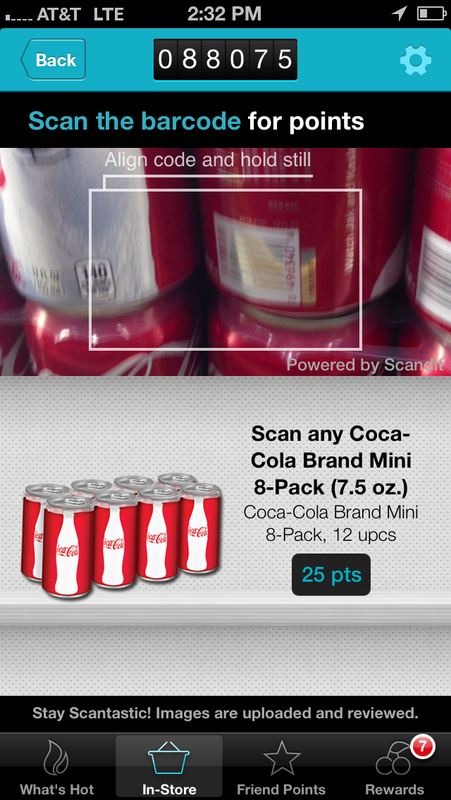 Before scanning, make sure that the product that you have in your hand is the same product as in the app. Hold the product steady in your hand, or place it on a shelf with the barcode facing up. Note: If the package is shiny, try to avoid excess reflectivity and glare on the barcode by blocking out overhead lights (you may have to change the product angle or the direction you’re facing with the product). Steady your barcode scanner and keep it in line with the full barcode, making sure that you align the barcode within the box on your screen. (you may have to tilt the product so that you can scan the whole thing or smooth the packaging out if it’s wrinkled). When the app scans the correct product’s barcode, you will be rewarded the point and coin values associated with that product instantly! Another Note: If you feel like you’re scanning the right product but keep getting an error message, let CheckPoints know by Reporting a Problem. 1) You must be using the CheckPoints App to earn points. 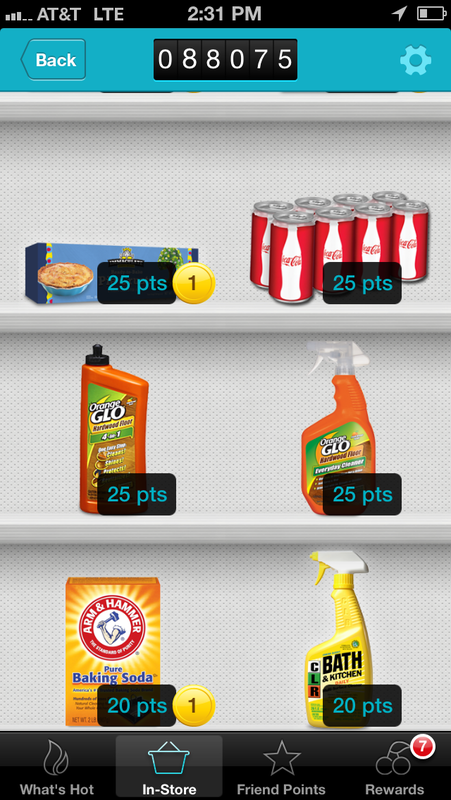 2) You must be in the physical store to check in and earn points for scanning. 3) Bar code scans must be of bona fide physical products. It’s important that every user has a fair shot at earning points and getting rewarded. That’s why CheckPoints makes sure to stop in their tracks the people who don’t play fair. In fact, there’s a special top secret CheckPoints security officer watching out for those people. He comes to us straight from the North Pole, where he’s been helping Santa make up his “Naughty or Nice” list every year. This guy knows what everyone’s up to! 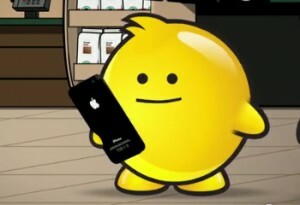 Any person who attempts robotic, electronic, or other ways of “cheating” the app will be notified of their violation, and may get “the boot.” We hope that he doesn’t have to work very hard, and that every one of you will follow the rules (I would if I were you, he’s a little gruff-looking). I hope that this little tutorial clears things up! Follow these directions and you will keep collecting your awesome rewards with CheckPoints into the future!